The most comprehensive King James Version study Bible published in 50 years. "The King James Study Bible" has more 2,000 pages packed with thousands of notes and commentaries from respected conservative scholars. More than 5,700 annotations in a unique format offer a broad understanding of the Bible and how it relates to the world we live in today. 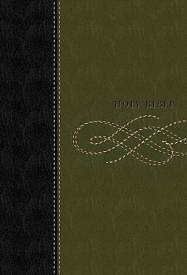 Part of the "Signature Series" line of Thomas Nelson Bibles. Thomas Nelson Bibles is giving back through the God's Word in Action program. Donating a portion of profits to World Vision, we are helping to eradicate poverty and preventable deaths among children. Learn more and discover what you can do at www.seegodswordinaction.com.